Germs and odors beware! The GermGuardian Pluggable UV-C Sanitizer and Deodorizer provides your home with fresher, cleaner air. UV-C light reduces the DNA of germs eliminating their ability to reproduce. It's easy to operate and requires no set up or assembly. Its sleek and compact design is ideal for small spaces. Just plug it in to a wall socket to kill bacteria and fight odors from cooking, mildew, smoke, pet areas and more. Ideal for small rooms such as bathrooms and laundry rooms. 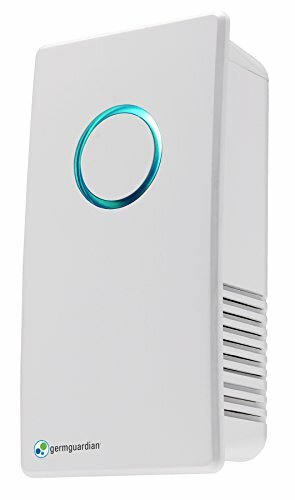 The 3-in-1 Air Cleaning System is perfect for allergy sufferers. True HEPA captures 99.97% of allergens including pet dander, dust mites and pollen. 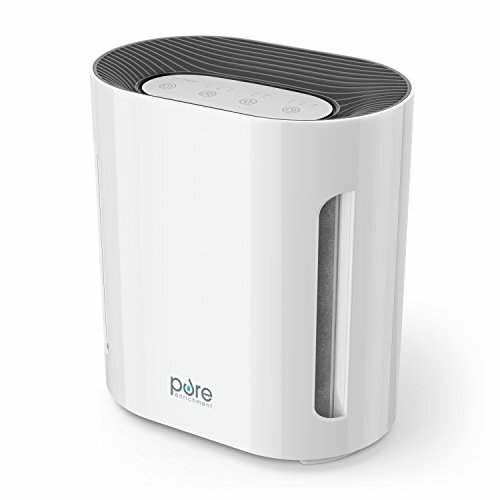 The Pet Pure is an antimicrobial agent added to the filter to inhibit the growth of mold, mildew and odor-causing bacteria on the surface of the filter. According to the American Academy of Pediatric Allergy and Immunology, doctors recommend HEPA air filtration to reduce exposure to indoor asthma triggers. More than just a filter, the UV-C light kills germs, while the charcoal filter captures odors. CADR Rated 125+ and standing 28 inches tall, it is lightweight and ideal to use in both medium to large rooms. The easy to use digital display panel includes UV-C control, a filter change indicator and an up to 8 hour timer. 5 speeds provide high speed allergen control down to ultra-quiet sleep mode. 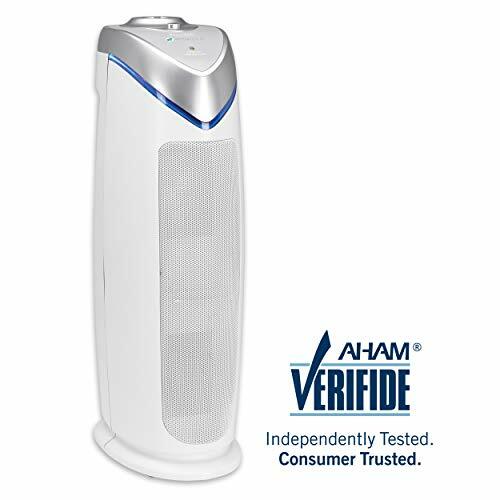 The 3-in-1 GermGuardian Air Purifier with HEPA Filter is perfect for allergy sufferers. 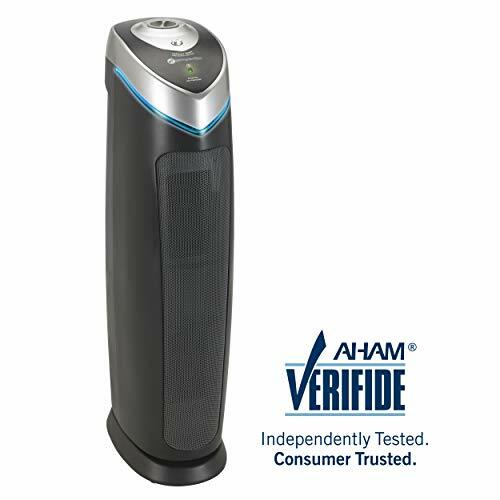 The HEPA filter captures 99.97% of dust and allergens as small as .3 microns in size! More than just a filter, the UV-C light kills germs, while the charcoal filter captures odors. Standing 28 inches tall, it is lightweight and ideal to use in rooms up to 180 sq. feet. Includes a UV-C control and a filter change indicator. Choose from 3 speeds, including a low speed that runs ultra-quiet. This mid-size console air purifier is perfect for those suffering from allergies. 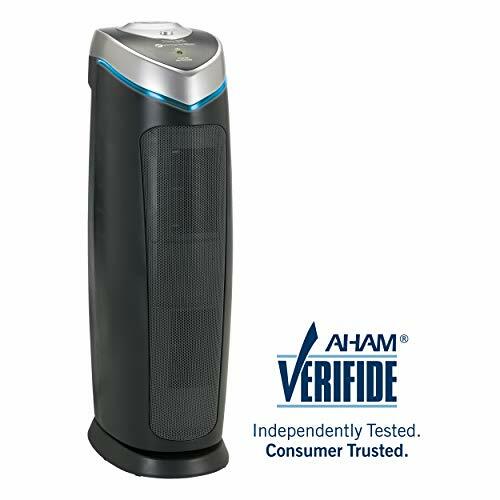 With a HEPA filter, it captures 99.97% of dust and allergens as small as .3 microns in size! A large carbon filter attacks common household odors including those caused by smoke, cooking and pets. UV-C light technology kills germs including staph, influenza and rhinovirus. Choose from 3 speeds depending on your needs, including a low speed that runs ultra-quiet that is great for light sleepers. It also features a timer that can be set for up to 8 hours. Standing 21" tall, this mid-size console is ideal to use in rooms up to 338 sq. feet. Germs beware! The GermGuardian Pluggable UV-C Sanitizer and Deodorizer provides your home with fresher, cleaner air. UV-C light reduces the DNA of germs eliminating their ability to reproduce. It's easy to operate and requires no set up or assembly. Its sleek and compact design is ideal for small spaces. Just plug it in to a wall socket to kill bacteria and fight odors mildew, pet areas and more. Ideal for small rooms such as bathrooms and laundry rooms. 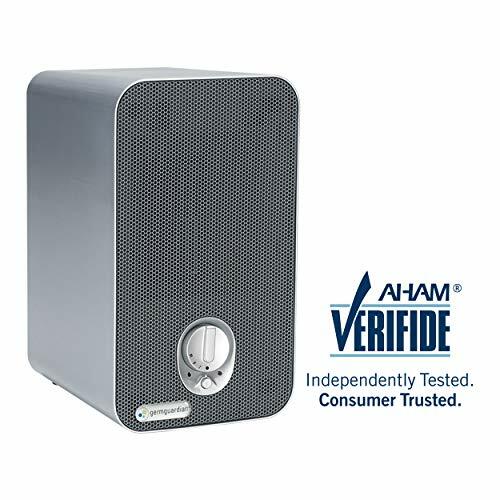 Improve your indoor air quality with the GermGuardian 3-in-1 Air Purifier. 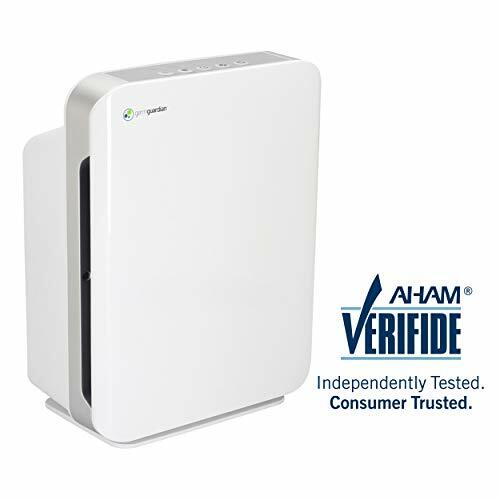 Perfect for allergy sufferers, the HEPA filter captures 99.97% of dust and allergens as small as .3 microns in size! More than just a filter, the UV-C light kills germs, while the charcoal filter captures odors. Standing 22 inches tall, it is lightweight and ideal to use in rooms up to 167 sq. feet. Includes a UV-C control and a filter change indicator. Choose from 3 speeds, including a low speed that runs ultra-quiet. 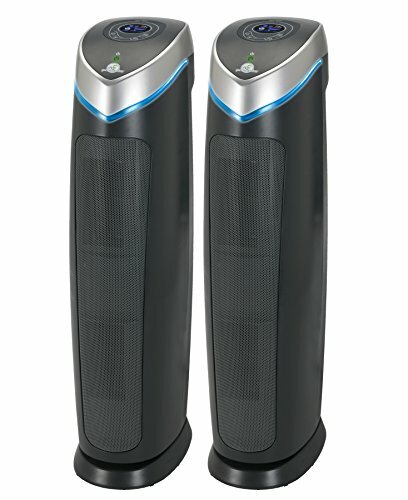 Shopping Results for "Uvc Room Air Sanitizer"